Ask yourself this–how do you rank your own Twitter skills among the rest? Do you know the Twitter hacks to actually get your Tweets seen and Retweeted? Successfully maintaining an active Twitter is easily one of the toughest things for brands. But with approximately 1 billion monthly visits to sites through embedded Tweets, the network can be a gold mine for higher traffic. Even though Twitter is possibly the noisiest social media platform, there are some absolutely crucial Twitter hacks your brand can try out to improve engagement, audience size and traffic to your site. You’ve probably used Twitter’s search bar to find specific accounts or Tweets containing a certain keyword. But there is so much more to it than this. You can use a combination of different Twitter search operators and Advanced Search feature to get more detailed results. Here are some examples of search operators you can use within Twitter to narrow your results. Many businesses are completely unaware that Twitter has an Advanced Search feature because it’s kind of hidden and it’s not available in the mobile app. Twitter Advanced Search makes is easier to find exactly what you’re looking for without having to use search operators. Twitter Search Operators let you zero in on specific Tweets so you can not only find the exact content, but save time with searching. Let’s be honest, Twitter lists are incredibly underutilized. By default, all of the latest Tweets from users you’re following are grouped into your main stream. This is fine when you just want to browse a variety of Tweets, but it’s not well organized. Twitter lists allow you to curate Tweets from a select group of users, which gives you a more streamlined experience. Influencer List: Create a list of the top influencers in your industry. 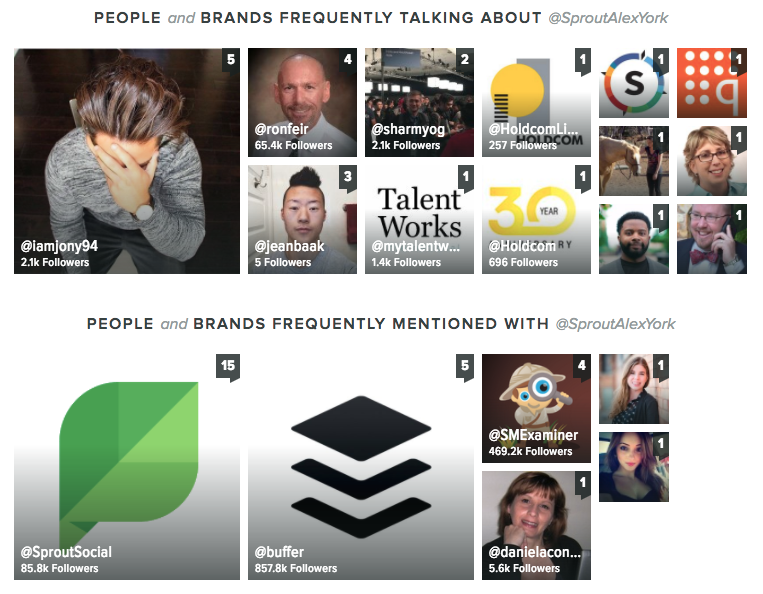 Engage with these users on a daily basis to start building relationships. Retweet, like and reply to their Tweets. Feel free to @mention them when you share a link that they might find useful. Eventually, you’ll have a solid network of movers and shakers to amplify your brand. Customer List: Twitter is the perfect platform to interact with your current and past customers. You can build a strong community for your brand and improve your number of return customers at the same time. Most only communicate with customers on Twitter for customer support. By creating a Twitter list of previous customers, you can Retweet, like and reply to all of their Tweets–not just the ones that are about your business. Leads/Prospect List: This list is particularly great for B2B brands. On average, you have to contact a prospect around seven times before you close a sale. If your company has been warming up a prospect through sales calls, emails or direct mail, you should place them on a Twitter list so you can communicate with them on social media as well. Don’t sell to your prospects on Twitter though. Use it as a way to share helpful content or to show your commitment by sharing their Tweets. Top Sharers List: Use Sprout Social’s social media analytics tools to perform things like Trends report to find out which users are sharing your Tweets the most. Then, add all of these people to a Twitter list. Whenever you have something important to share, let these users know first. You’ll be able to count on them to help you distribute your content. You might even consider offering them a discount or some type of special offer to thank them for being your top sharers. Public/Private List: You have the ability to make your Twitter lists public or private. Try both as anybody can view public lists, and users will receive a notification. With a private list, only you can see who’s on it and the users you add won’t be notified. Keep any lists that are for internal use private such as your prospect, top sharers and customer lists. But a list of the top influencers in your industry could be public. We have some bad news–if you randomly send out your Tweets, only a small percentage of your followers will see them. Thousands of Tweets are sent out every second, which means your followers’ timelines move quickly. In order to increase the visibility of your Tweets, you need to send them out at the right time. We performed some research on the best times to post to social media and collected the different data to get to the perfect range. And that’s exactly what you should do–rely on the best ranges instead of an exact time. Otherwise, you’ll go crazy trying to pinpoint exact times and make your content too routine. The most recommended days to Tweet are Monday Through Thursday. The most recommended day to Tweet is Thursday. The most recommended time range is around Noon on Thursday. The safest time to Tweet is any weekday from noon and 3 p.m. The least recommended time ranges include early mornings and late nights. Want an even better Twitter hack? 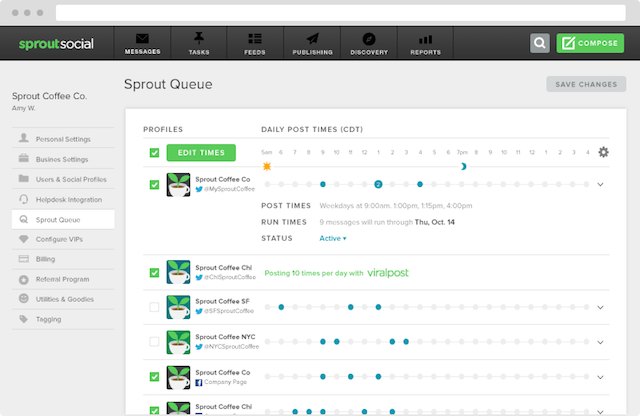 Use Sprout Social’s ViralPost feature to automatically schedule Tweets to be sent out during the times that your followers are the most active. This immediately removes the guesswork and strict schedule to maintain. Did you create an awesome piece of content that you want to get as many eyes on as possible? Don’t just Tweet it once and forget about it. Try sharing the same content on multiple days, at different times, to get more impressions and engagement. If you’re worried about seeming too repetitive by sharing the same piece of content five days in one week, don’t be. Even though you’re sharing the same piece of content multiple times, the likelihood of the same exact users seeing it each time is slim. You’re never going to send out a Tweet that all of your followers see. The goal is to be seen by as many as possible. How do you achieve this without wasting time waiting to publish or forgetting to send out multiple Tweets in day? It’s easy. Use a Twitter management tool like Sprout Social to easily schedule Tweets for multiple times a day, week or month. 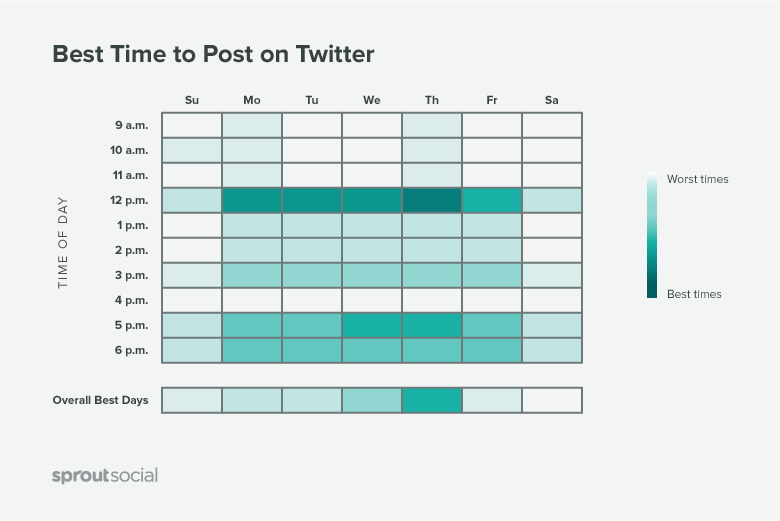 By planning out all your content in advance, you can better view your Twitter strategy and visualize how many Tweets are sent per day or per week. Try switching up the copy or image in your Tweets so each one looks different, even if you’re sharing the same article each time. While Twitter released Moments a few years ago, the feature is still one of the best spaces to find the latest news and trends. The point of Moments is to give users a snapshot of the latest stories from around the world and what’s popular on Twitter at the moment. The beauty of Moments is that it allows users to see your Tweets even if they aren’t following you. And one of the better Twitter hacks out there is to track events, hashtag holidays and other annual happenings for content creation. Start by putting together a social media editorial calendar that includes important holidays and events. Before these days take place, create new content that you can Tweet out to promote it. For instance, you might make your own low budget Super Bowl commercial and share it using Twitter Video during Super Bowl week, since that is a major event captured in Moments. Visuals are the best type of content to create because they’re more eye-catching for users scrolling through the latest Moments. Moments are split into different categories including sports, entertainment, news and fun. Most brands will have the best chance of showing up in the Fun section, since the others tend to be dominated by news outlets and major organizations. 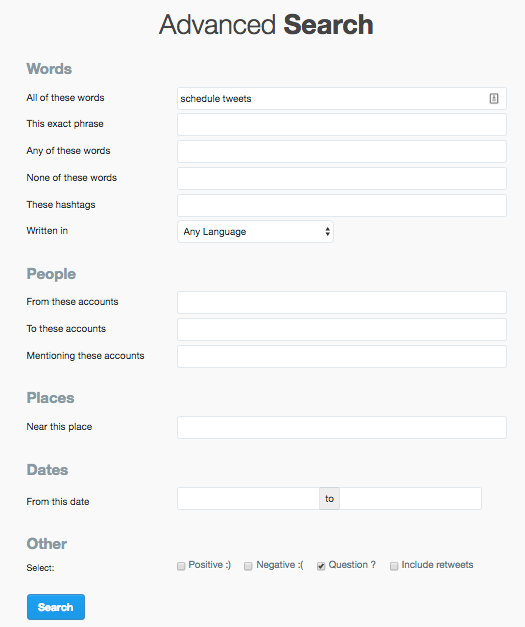 Lastly, you can create your own Moment and tag recent Tweets in your feed to build up momentum. 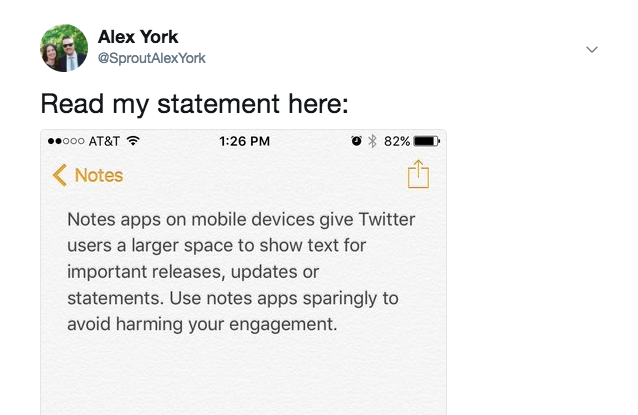 This could be a great strategy if you’re attending an event or running a campaign where you can add Tweets related to it. The Twitter character limit can be very–well, limiting for your brand. If you absolutely need to get out more than 140 characters, you can simply snap a screenshot within your smartphone’s notes. If you choose to do this, make sure your actual Tweet is short and to the point. Otherwise, you’re going to confuse your audience. Additionally, you want to do this sparingly. There’s a reason why Twitter still uses 140 characters and so many people still use it. Users want the space to be quick and not bogged down with long text messages. However, this Twitter hack is perfect for bypassing the 140 character limit. When a Tweet receives a ton of engagement, that means your audience connects with it. Use that as an opportunity to double down and give Promoted Tweets a try. By promoting a Tweet that has already succeeded organically, you’re lowering your risk of having your campaign flop. Promoted Tweets will give you the opportunity to share your top Tweets with users that aren’t following you, which can lead to new followers and more awareness for your brand. Another option is to promote a Tweet about the same topic as one of your top Tweets. For instance, if one of your most engaged Tweets was about how to lose weight with a Paleo diet, then you could create a free eBook on how to go Paleo and run a promoted campaign. You’ll be able to build your email list, generate leads and expand your reach. Try this hack to get every last drop out of a great piece of content. Another great way to promote your Tweets is through a Pinned Tweet. By sticking your best content at the top of your feed, you draw more eyes to something you’ve selected versus recently posted. With Pinned Tweets, you want to selectively choose your content because it has the most value of your feed. Just like people click on the first result on Google search, your Pinned Tweet will stand out equally on your feed. That’s why it’s smart to pin a Tweet that leads directly to specific landing page. Whether you’re running a campaign or promoting a new product, your Pinned Tweet should lead users directly to that page. Think of a Pinned Tweet being your one link in bio for Instagram. This is a great space to update periodically and use for product updates, campaigns, brand milestones or FAQs. Of the Twitter Hacks listed, this one involves pushing your web traffic to your Twitter account through gated content. Gated content is only accessible after the user completes some type of action. In this case, the action will be sharing a Tweet. An example of this concept in action is Lean Startup Machine’s Validation Board. In order to download this product, users have to share a pre-filled Tweet. This technique is effective because people who visit your site might not be following you on Twitter. Getting visitors to follow your company’s Twitter account creates a relationship with them, and eventually brings people back to your site. Users are generally more engaged when they return to your site than they are on the first visit. Kissmetrics found new visitors spend an average of 2 minutes 31 seconds on a website compared to 5 minutes 31 seconds for returning visitors. On top of that, return visitors look at an average of 5.55 pages per visit, while new visitors look at 3.88 pages each visit. Experiment with gated content and see how your audience responds. If you’re a brand with thousands of users across the globe and have mobile notifications set up, you’re going to receive plenty of bird whistles and buzzes through the night. And instead of setting your phone to “Do Not Disturb” and risk missing an emergency call, Twitter users should set sleep timers. Click Settings on your Twitter Notifcations page. Click Mobile under your account settings. If you don’t have your mobile device activated to your account, enter your phone number and then the confirmation code on your desktop. Select your sleep time range and click Save changes. 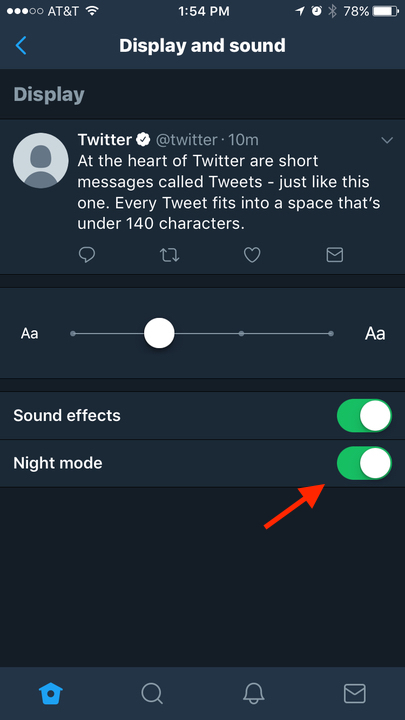 Sticking with Twitter hacks for our night owls, try enabling Twitter’s Night Mode on mobile in the evening. This will be easier on your eyes, especially if you’re spending countless nights going through Twitter. Click your Image avatar to get to your Twitter menu. Under General, click Display and settings. Twitter hacks sometimes need the help of outside sources and when it comes to brand hashtags, you need a tool for research. It’s essential to track your brand hashtags to see engagement opportunities, test campaigns and see what content worked the best. Without these hashtag analytics tools, you’re left with simple engagement metrics such as likes and Retweets when you use the native platform. But if you want to step up your game and truly analyze your hashtags, it’s time to use Sprout. We provide an in-depth feature to monitor the top mentioned hashtags and topics associated with your brand. This can provide detail into what your customers say about you when they use your tracked hashtag. And when you don’t use a complete social media analytics tool, you waste time putting together the data on your own. 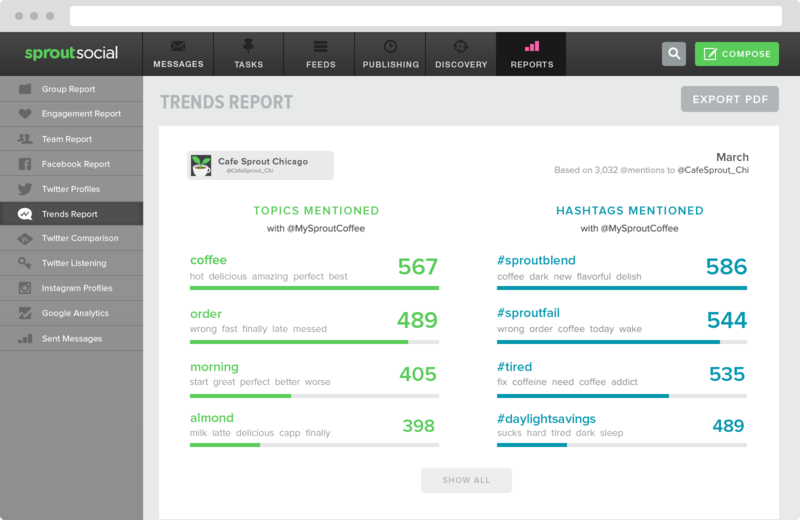 Try Sprout Social for a free 30-day trial to see our hashtag analytics in action! While this sounds more like a Twitter best practice than a hack, you have to be smart about how you monitor your competition. It’s important to never mirror your competitors, but instead, learn from their wins and mistakes. BuzzSumo: This platform ideal for those searching for various competitors on specific keywords and topics. BuzzSumo will show you who reigns the Twitter shares so you can get a better idea of what Tweets you can post about on network. Google: Nothing quite like a good-ole Google search. Simply search your keywords with “+ twitter.com” to pull results combining both. This is a quick way to see who’s ranking for what on Twitter. Sprout Social: Again, Sprout provides users with valuable Twitter competitive analysis reports where you can actually compare accounts. This feature is perfect for brands trying to get on the level of some of their direct competitors. We don’t have to sell you on Emojis. Twitter even has its own emoji list right in the compose window. In fact, emojis have become so popular that one report showed a 25.4% higher engagement rate for a Tweet with one compared to without. But you shouldn’t just add emojis without a rhyme or reason. Instead, make sure your emojis are connected to the content and work as a source of communication like any other piece of content would. This is about the easiest hack so step up your Emoji game now! Have you ever wondered how Twitter decides who to display under the “who to follow” section? It’s actually based off an algorithm that factors in different criterion and is personalized for each user. You can’t control a lot of these factors, but there are some steps you can take to improve your chances of being suggested. Upload your contacts: Twitter looks through the contacts you import to see if they have an account. In addition to suggesting these users to you, they may also suggest your account to your contacts as well. Use a single phone number and email address: When choosing your email address for Twitter, use one that you use when emailing customers and prospects. This email address is more likely to be in their contact list, so if they sync it to Twitter you may show up as a suggested account to follow. The same thing applies with your phone number. Tailor your Tweets to your industry: If your Tweets are not protected, Twitter can search them for keywords to determine what you Tweet about. Then, it may suggest your account to other people who Tweet about similar topics. Include keywords in your Tweets to make it easier for Twitter to categorize your account and recommend it to people in your industry. 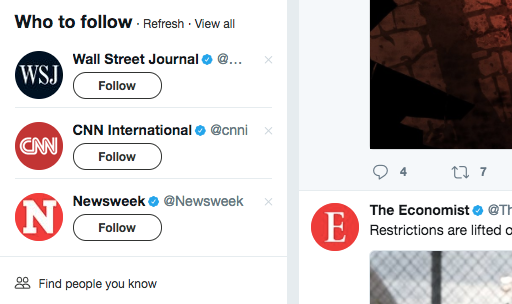 Get followed by influencers: Twitter also suggests people to follow based on who you’re already following. If your account is being followed by multiple influencers, their followers may see your account as a suggestion. Getting results with Twitter isn’t going to happen overnight. It’s all about building connections and relationships, which takes time. 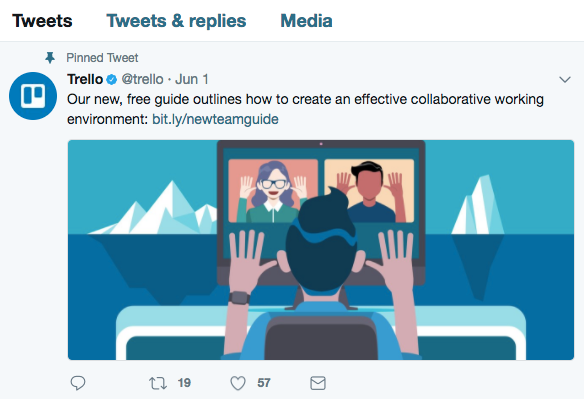 When you put these eight Twitter hacks into action, it’ll be easier for you to grow your account, build your brand and expand your reach. Luckily, with the right Twitter management tools, you’ll have features to help you monitor, engage, analyze and report your data. Do you have any Twitter hacks that you like to use? Let us know in the comments!